After clicking “Sign up” you will see a confirmation page telling you that we have sent an email to the address provided for you to confirm your account. Please click “Verify Your Account.” You will then be taken to a page where you will enter your password to confirm your account. 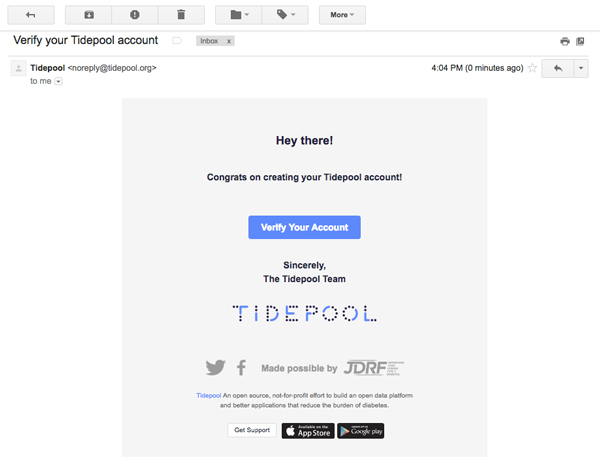 Enter your password to verify your email. Please read our Terms, then check the box “I agree to these terms” (only if you agree) and then click “Continue.” You will then see our welcome page. On this page, you must make a choice. 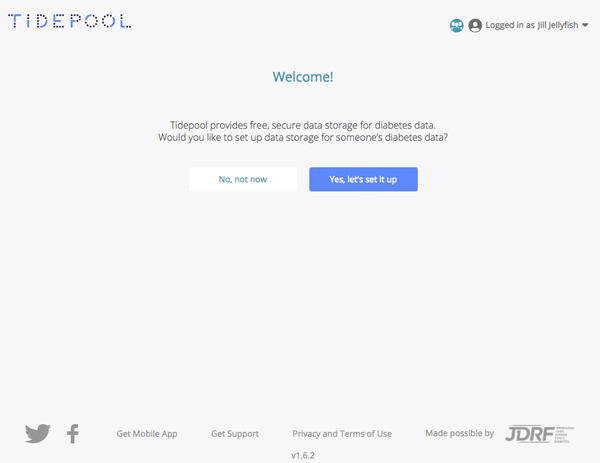 If you plan to upload data for yourself or another person please be sure to click “ Yes, let’s set it up” so that you can create an account that can store data from your devices. 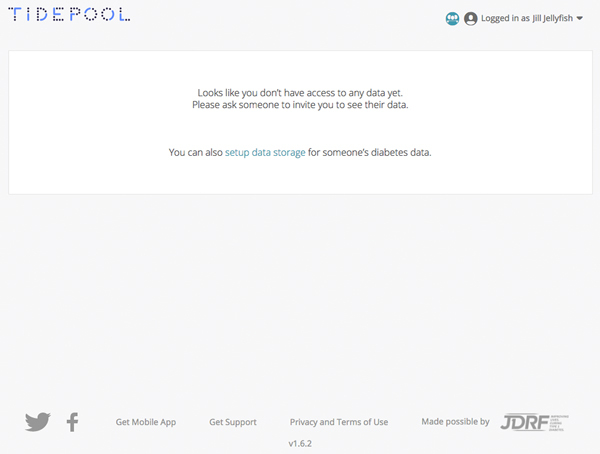 The “No, not now” option should be used if you are creating an account to view someone else’s data that they will be uploading. For example, if your family member invites you to see their data, you can click the “No, not now” option as you will not need to be storing a separate data set. 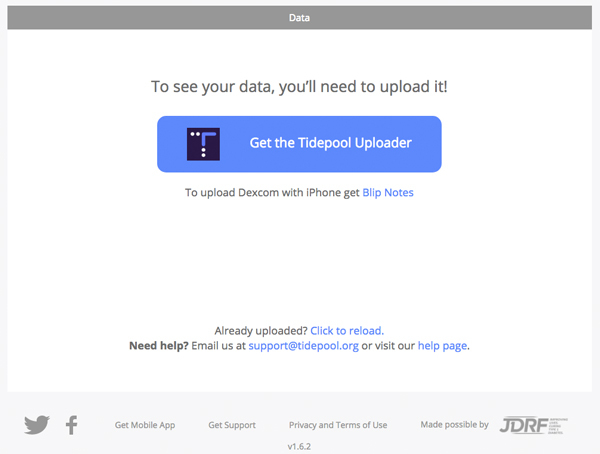 Read this article to learn more about sharing Tidepool data. If you select “Yes, let’s set it up” you will be asked information about your birth date and diagnosis date. This information is tied to your account but is kept private like all of your other data. 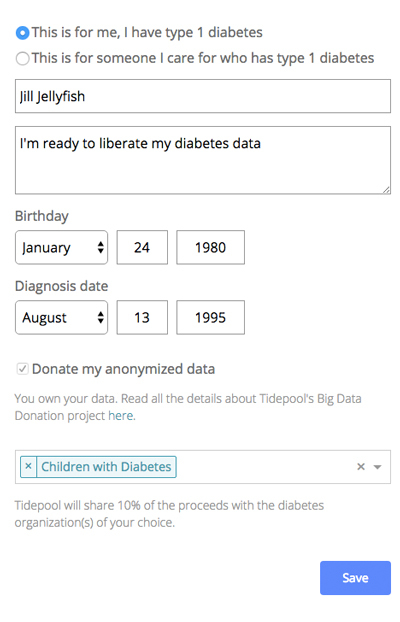 You can choose to anonymously donate your data to contribute to the Tidepool Big Data Donation Project. 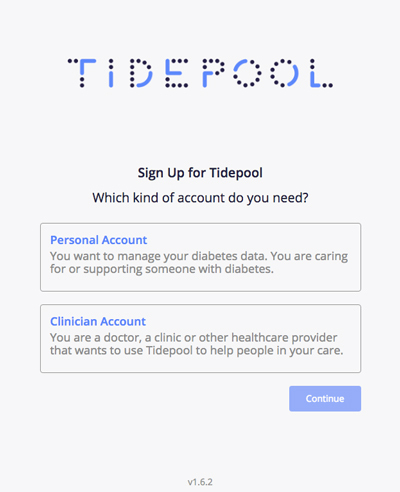 If you donate your data, Tidepool will donate 10% of proceeds through the Tidepool Big Data Donation Project to your choice of select diabetes nonprofit organizations. 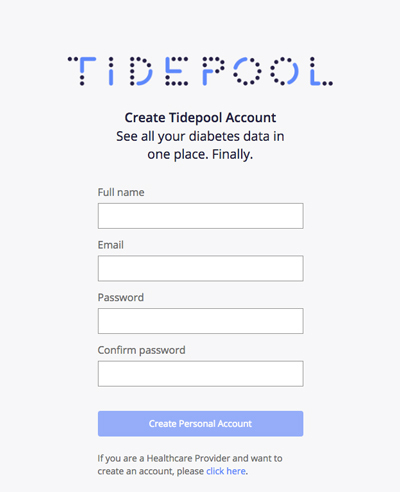 Read this article to learn more about the Tidepool Big Data Donation Project. 4. It’s time to upload data! 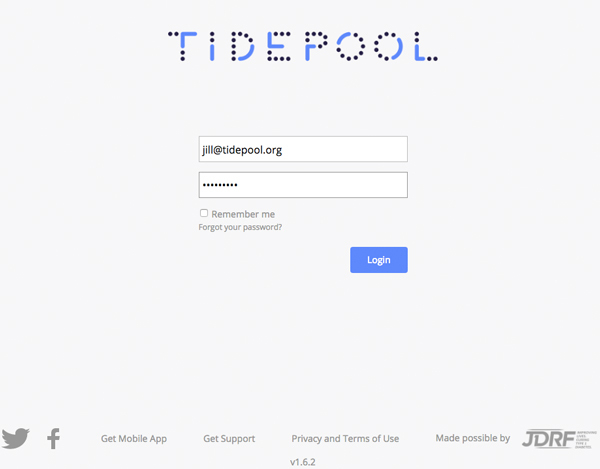 Please download and install the latest version of the Tidepool Uploader by visiting tidepool.org/uploader. This article will walk you through the installation process.